There seems to be an overarching food culture here, with each city and town having mild variations of it. Lima, for example, has a lot of streetside food; burgers, hotdogs, kebabs, all prepared at small foodcarts, and all for only a few soles. 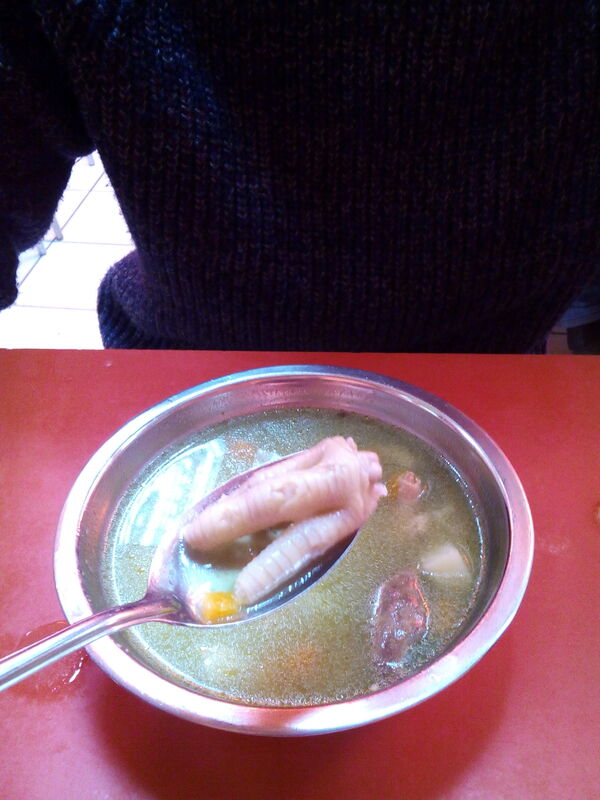 There’s nothing particularly extraordinary or different about these meals, save for the fact that all are served with fries, usually very very thinly cut and deep fried. There are also a variety of snacks, like Picarones, deep-fried and covered in honey. Or most commonly thick slices of pineapple. 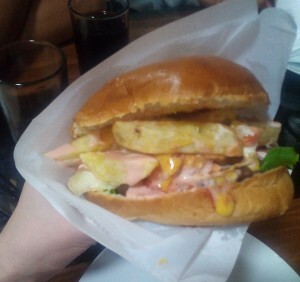 There are, of course, plenty of restaurants, small and large, though convienence often wins over comfort. Every town and city also has an unnamed style of restaurant that specializes in simple short menus. These are typically very small, with maybe ten tables at most, with the menu hastily written in colored chalk on a chalkboard by the door. The menu will always consist of soup (Peruvians absolutely love their soup), followed by a main. The soup is usually something hot and sating, something that wouldn’t be out of a place on an Irish dinner table in the middle of winter. The main course is usually either fried fish (usually trout), a thin slice of fried steak, or stir fried lamb. 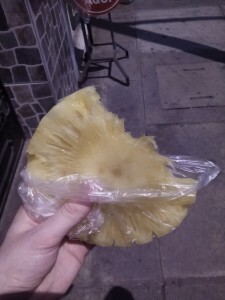 The size of the portions are daunting, with all meals coming with generous helpings of rice, potatoes, sweet potato, and vegetables, and more often than not I found myself unable to finish these gargantuan tasks, instead reverting to my childhood conditioning of making sure all the meat has been eaten. 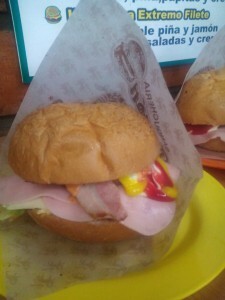 In Arequipa, aside from the soup-and-main restaurants (which I’d taken to calling Local Restaurants), the most common type of food place seemed to be burgers. On every street there was always at least one small place which sold only burgers, in a quite a few different varieties. 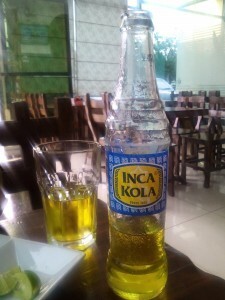 It was in Arequipa that I drank my first Chicha Morada, a popular drink made of purple corn. 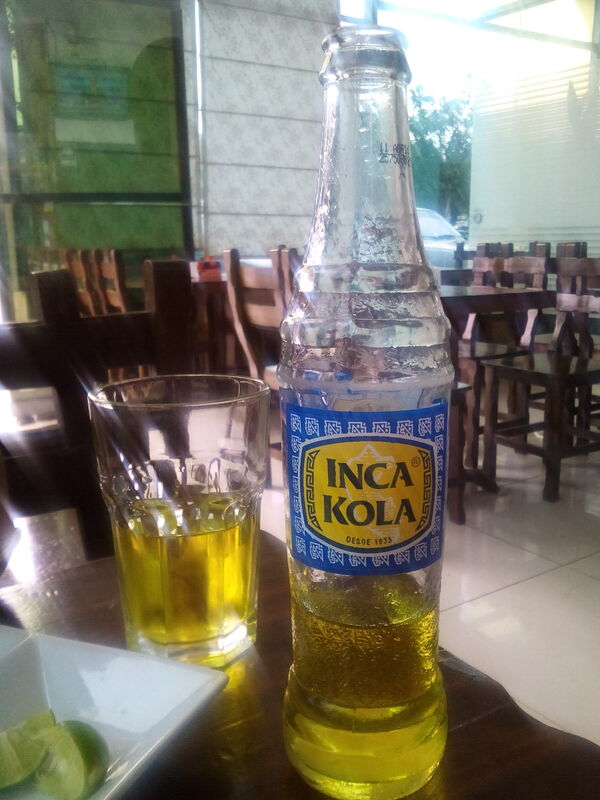 Aside from Chicha, the most popular drink is Inca Cola, which I swear tastes exactly like Irn Bru. 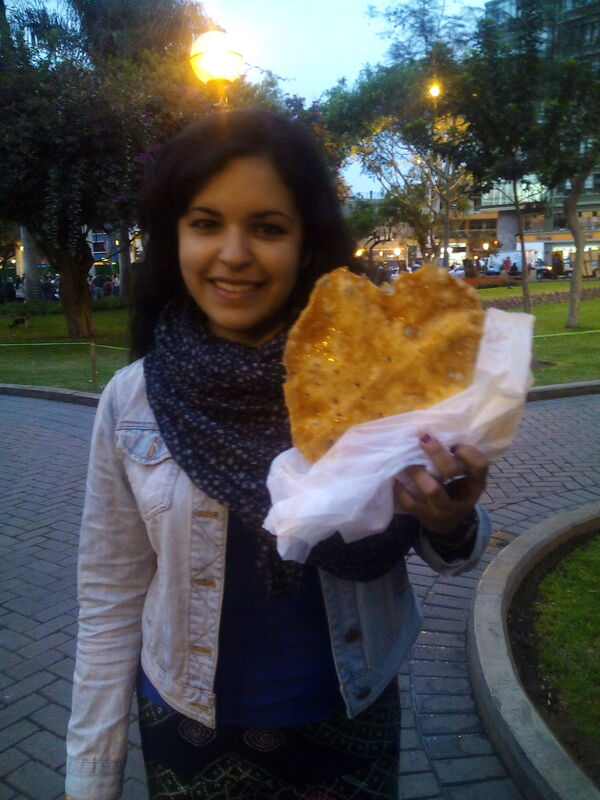 In Cusco, no matter where you go or what street you decide to wander along, what you will see is almost always pizza places and chicken restaurants. 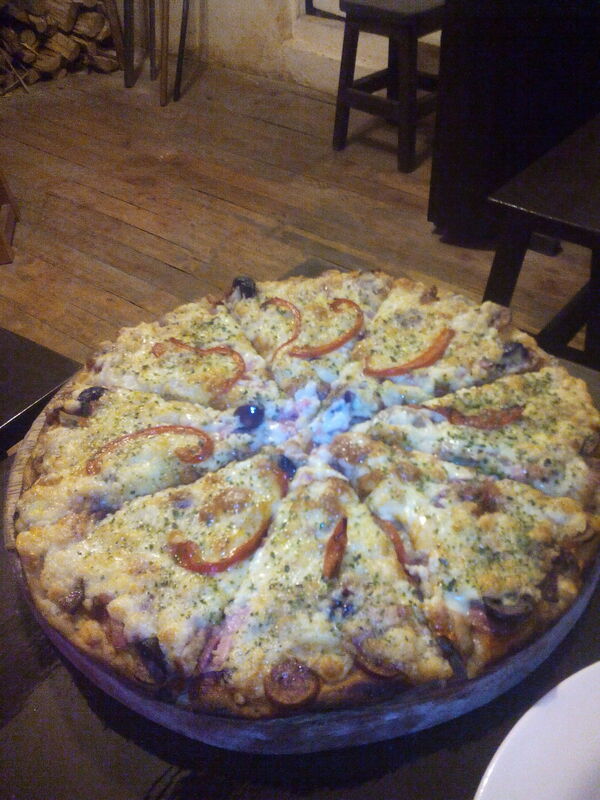 The pizza is excellent, with every one that I’ve been to so far using a traditional stone oven. There is one beacon of oddness on every one of these pizza menus, drawing attention to the fact that this is an entirely different culture, each menu always has a pizza whose toppings are a variety of fresh fruit, all covered in a generous helping of condensed milk. My mind doesn’t know what to make of this, and I can’t imagine whether it would be delicious or disgustingly sweet. Unfortunately, I lack the courage to try. Aside from pizza, on every other street corner, you will see chicken restaurants. These are comfortingly simple affairs. There are no menus, you simply ask for one-eighth, one-quarter, a half, or a whole chicken. 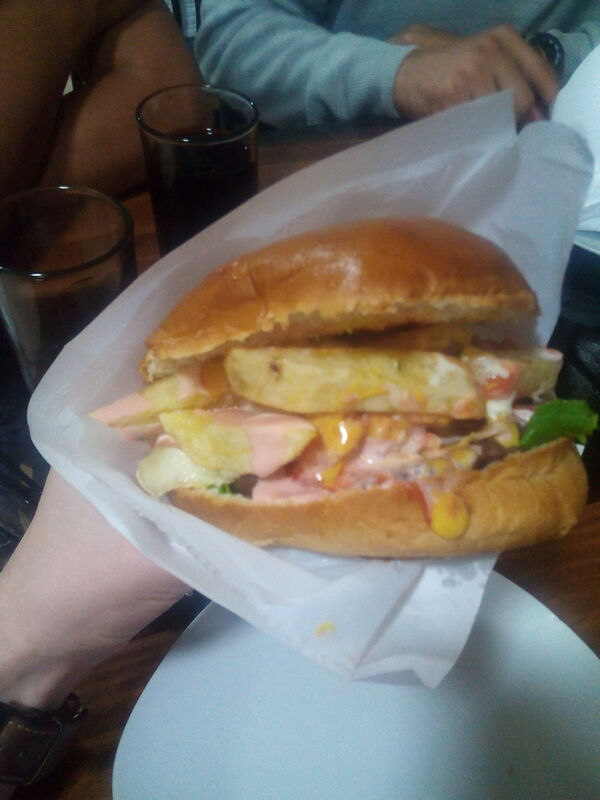 This comes with fries and salad from a salad bar. The chicken itself is roasted on a spit and marinaded in a spicy salsa, and it is incredibly delicious. 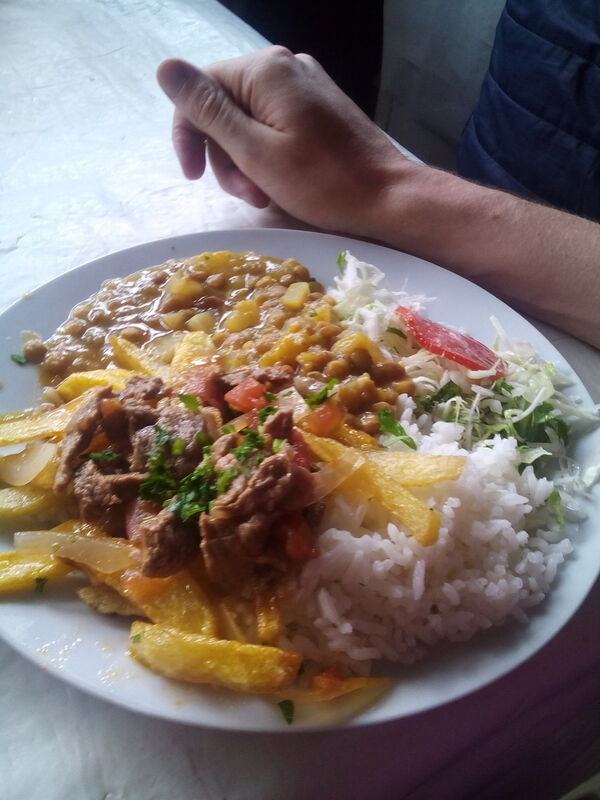 There are a few particularly Peruvian dishes. 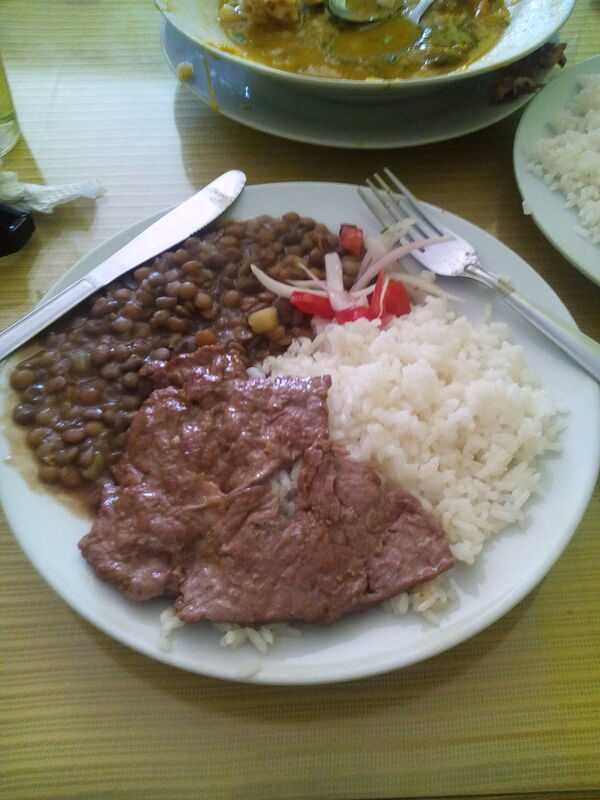 For example, Alpaca steak, which tastes much a less salty bacon chop, with the tenderness and texture of a beef steak. 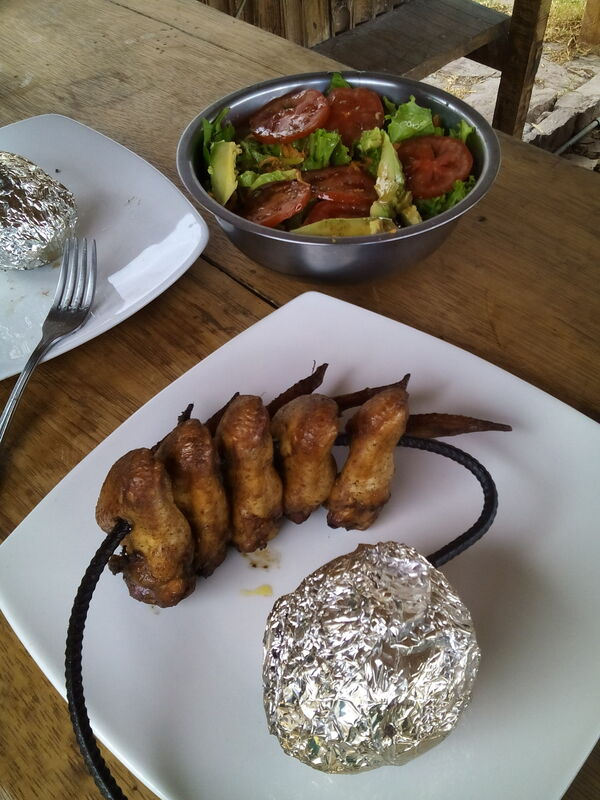 Antichuchos are another local specialty; diced and skewered heart cooked over a flame grill. The most unique dish I’ve come across so far is Cuy, which is roasted Guinea Pig. I’ve heard it’s delicious, though I’ve not yet had the chance to try it. Finally, we can’t forget the seafood. 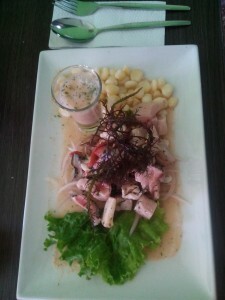 There is plenty of fried trout and squid and others, but what really stands out is the Ceviche. This is commonly sold in Cevicherias, it’s a particular kind of sauce made with chillis and lime juice. You can get different types, with a single type of fish for example, but my own favourite is called Ceviche Mixto, a selection of different seafoods served raw with this delicious sauce. You will also often get a shot of what’s Leche de Tigre, or Tiger Milk, although really it is simply a shot of Ceviche sauce. This got me thinking about Ireland a bit, particularly in terms of food. It seems to me that Ireland hasn’t really developed a very in-depth food culture. 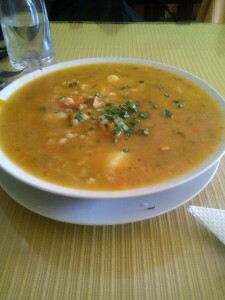 Mainly, there’s stew, coddle, and the hearty Irish fry, but beyond that most dishes seem borrow from different cultures. I can’t imagine a very advanced Irish food culture will emerge any time soon, as there’s already such a huge variety of different foods already available. This is one of the aspects I like about Dublin, and something that I didn’t think I would miss. You can get virtually any kind of food in Dublin, if you want to try Somali food, no problem at all. Maybe some Venezuelan dishes? I know just the place. Never tried Afghani food? A quick search on Google and there’s a spot. Maybe this is me lamenting for my home country, or maybe I’m just in need of a decent Full Irish.